"The state police will have to be empowered and the law made more effective if gangsters and law-breakers were to have fear of the law," Punjab DGP said. 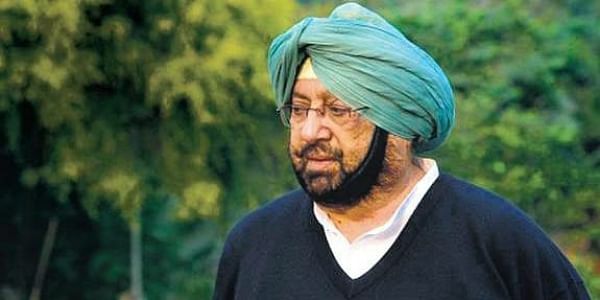 Punjab Chief Minister Capt Amarinder Singh. PHAGWARA: Even as the clamour against enactment of Punjab Control of Organised Crime Act (PCOCA) rises, Punjab DGP Suresh Arora today defended the stringent law by stating that it was the "need of the hour" to tackle the menace of organised crime. "The state police will have to be empowered and the law made more effective if gangsters and law-breakers were to have fear of the law," he told reporters here. The DGP said the conviction rate of gangsters under the present law was negligible, i.e. hardly one to five per cent. He also admitted that six to seven gangs of 'A' category were still active in Punjab. Chief Minister Amarinder Singh had yesterday directed a cabinet sub-committee headed by state minister Brahm Mohindra to expedite drafting of the legislation on PCOCA. Opposition AAP had earlier asked the Congress-led Punjab government not to enact the "tyrannical" legislation as they claimed it was bound to be "misused" by police and state's political hierarchy to "settle scores". Arora said the state police will soon set up a social media cell. "Police will have its own Twitter handle, Facebook page and WhatsApp number. The social media cyber cell will be headed by Inspector General (IG) S K Asthana and it will operate from Mohali," he said. Replying to a query, Arora admitted that there were foreign links to targeted killings in Punjab. On narco-terrorism, the top cop said Punjab had the highest conviction rate in drug cases in the country due to a vigilant state police force as well as Border Security Force (BSF). He said the conviction rate in such cases was around 80 per cent. Arora said the deployment of BSF along the Punjab border with Pakistan had been raised at par with Jammu and Kashmir. "After the Pathankot airbase attack last year, central and state agencies pooled resources for better coordination. The state police also have regular interactions with its J&K counterpart," he said. The Punjab DGP added that Rs 100 crore was spent for well-equipping police in border districts. To a query about possibility of sleeper cells of J&K terrorists in Punjab, Arora said nothing of this sort had come to their notice so far.